Larkin Development Group is in the process of developing a 140,000 sq. 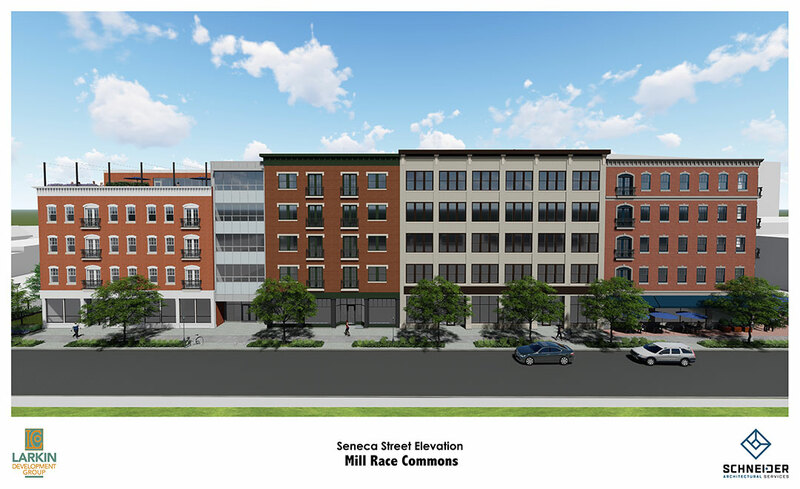 ft. mixed use building, Mill Race Commons, at 799 Seneca Street in the center of Larkinville. The site is conveniently located adjacent to Larkin Square and the Larkin at Exchange Building. The property borders Seneca, Hydraulic and Carroll Streets. Across Seneca Street, green space is being developed as a public park amenity for all to enjoy. The building is comprised of two wings. The Seneca Street wing will have 13,000 sq.ft. of ground floor retail. On the second through fifth floors will be 70 market rate rental apartments made up of studio, one and two bedroom units. 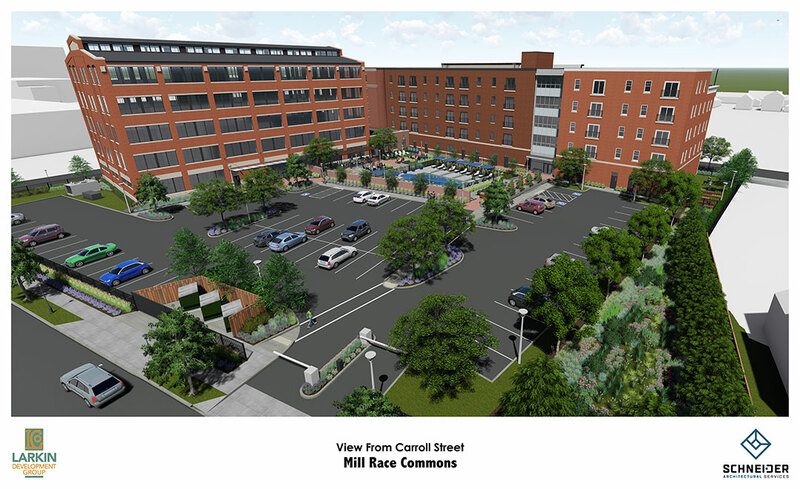 Residential amenities will include onsite parking, an outdoor pool, firepits, grill, roof deck, fitness center, dog park and indoor bike storage. All apartments include in unit washers and dryers and generous walk in closets. 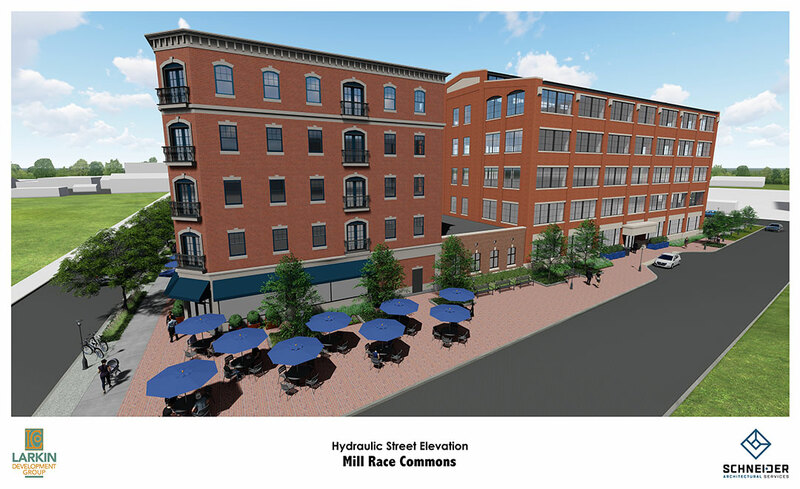 The Hydraulic Wing will have five floors of commercial office space with approximately 10,000 sq. ft. on each floor. Amenities include a fitness center with showers, indoor bike storage and outdoor area with grill and firepits. Easy tenant access to the cafeteria next door in the Larkin at Exchange Building. Construction to begin June 2019 with a completion date of December 2020.